Rare Russian 30rd Bakelite AK47 7.62×39 caliber Rifle Magazines. 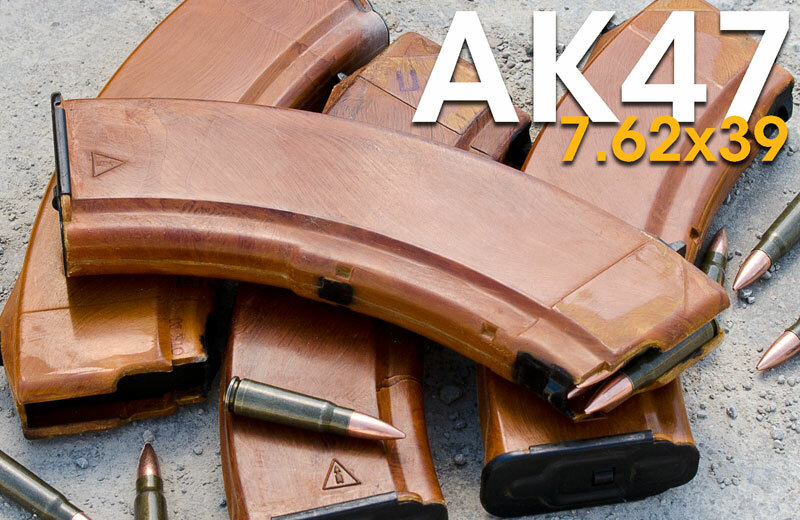 Considered to be the best AK Magazine produced to date. It features a robust, light weight, metal lined and tabbed construction that even modern day manufacturing has not been able to duplicate. Excellent condition. Features original Russian markings. 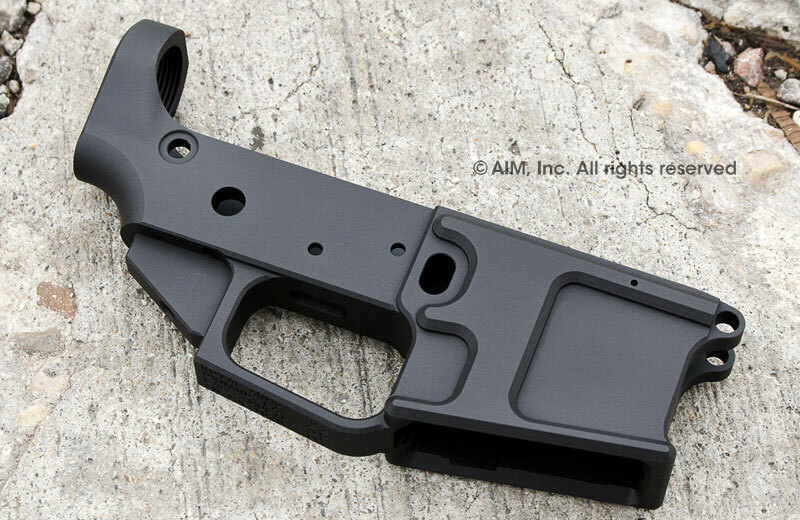 Great Deal on Billet AR Lower Recivers! ROYAL ARMS RAK-15 Billet Multi-Caliber Lower Receivers for AR type Rifles. 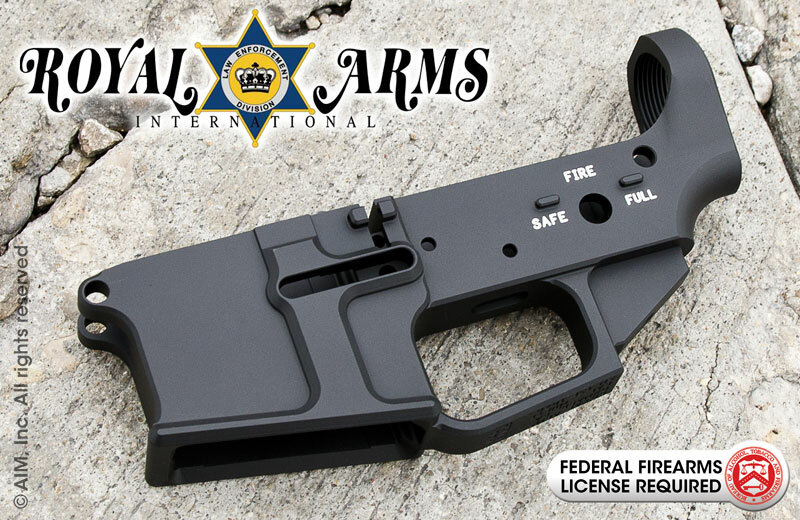 Royal Arms manufactures the some of the finest Billet Lower receivers available today. Machined from Solid Billet of Aluminum, not just any grade of bar stock 7075 would do. Royal Arms uses a special blend of 7075 and had it heat treated to their specifications to make it more shock resistance and less prone to failure from fatigue and stress fractures. They then enhanced all the critical areas to make this one of the most durable AR15 Billet lower receivers on the market. It also features a Discreet approach to the logo and firearm information engravings on the bottom of the trigger guard. Not going to lie. 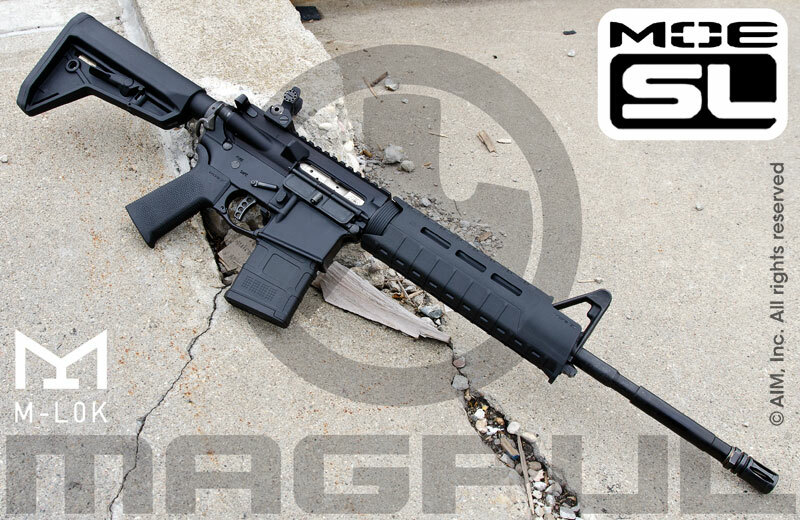 I was a little confused when Magpul announced the new MOE SL line. The original MOE series of furniture are some my favorite aftermarket accessories, and I did not think you could improve upon them much. When we finally got the SL line in stock I was pleasantly surprised. I don’t think it will replace the original MOE line as much as complement it. All of the parts have been streamlined and thinned down. The new SL Handguard being my favorite. Check them out and buy here! The new Magpul MOE SL line brings a fresh look and new concepts to the classic MOE lineup, featuring sleeker lines and an optimized feature set for modern employment methods. 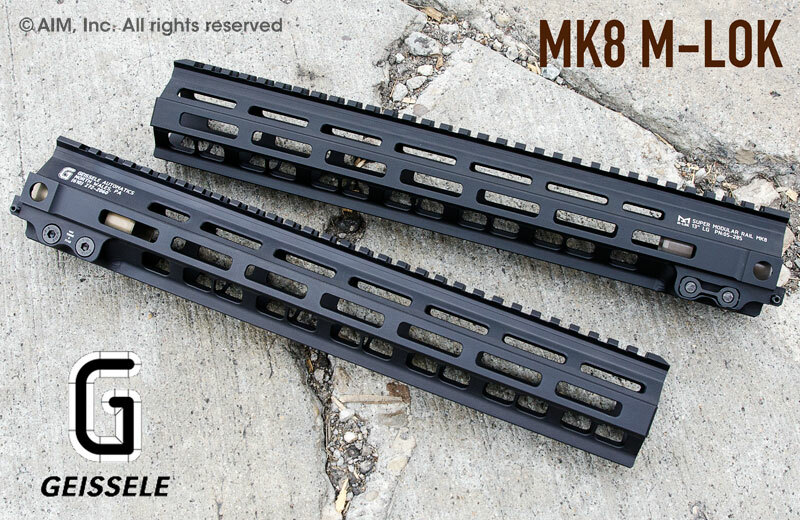 The Super Modular Rail MK8 with M-LOK Technology was designed to be a lightweight, ergonomic and modular option for the M4 Carbine and all mil-spec AR-15 variants. The MK8 with M-LOK Technology was also designed to do a good job in meeting the ten design specifications for a good M4 weapon rail. Instead of four sharp and jagged M1913 rails spaced at 90 degree intervals, the MK8 is fully ergonomic, maintaining its comfortable rounded shape throughout the length of the rail. The rounded top allows the shooter to easily wrap his or her thumb over the top of the MK8 as many shooters like to do with a forward grip. Accessory rails can be attached anywhere along the length of the rail in 45° intervals, including the standard 3, 6 and 9 o’clock positions. The MK8 also includes 2 standard non-rotating QD slots on either side of the rail. The weapon barrel is completely free floating when an MK8 is mounted. No force is put into the barrel from slings or bipods that could affect point of aim. The MK8 is machined from a semi-billet extrusion made from aircraft grade aluminum. A semi billet extrusion is designed with extensive machining stock for 3D features that are machined directly into the rail so that the rail is one integral piece. Current infantry doctrine makes extensive use of accessories that require attachment to a weapon rail. Flashlights, visible and infrared lasers, night vision and thermal sights all require a rigid weapon rail so that zero is not changed when a bipod or sling is used to support the weapon from the rail. The MK8 is a rigid interface for weapon accessories due to its precisely machined proprietary barrel nut and secure rail interface and clamping arrangement. Use of aircraft grade aluminum and high strength steels in the MK8 give the entire assembly a good strength and performance to weight ratio. Utilizing the Magpul M-LOK Technology, accessory rails are easily attached in seconds. The technology also allows the shooter to place accessory rails across slots, allowing even further customized placement of both accessory rails or direct attach accessories. With the Magpul M-LOK Technology the special steel rotating nuts are precision machined from 17-4 stainless. The slots on the rail are also precision machined so that the accessory rail, nut and rail all mate together perfectly. Using a short armed hex key, the accessory rail is then locked in place creating a rock solid platform for any attaching of accessories. Each MK8 comes with a precision machined, 2-1/4” long barrel nut that is machined from aircraft grade aluminum and hardcoat anodized for a durable surface. The barrel nut requires no indexing, creating an easy and seamless installation. The rail is then slid onto the barrel nut and the precise barrel nut to rail fit precisely aligns the rail to the barrel and is attached via two cross bolts. Just by loosening six screws the MK8 can be slid off the barrel nut for cleaning or gas system maintenance. As quick as it is removed the MK8 is can be re-installed with the precise barrel nut to rail fit maintaining sight and accessory zero.